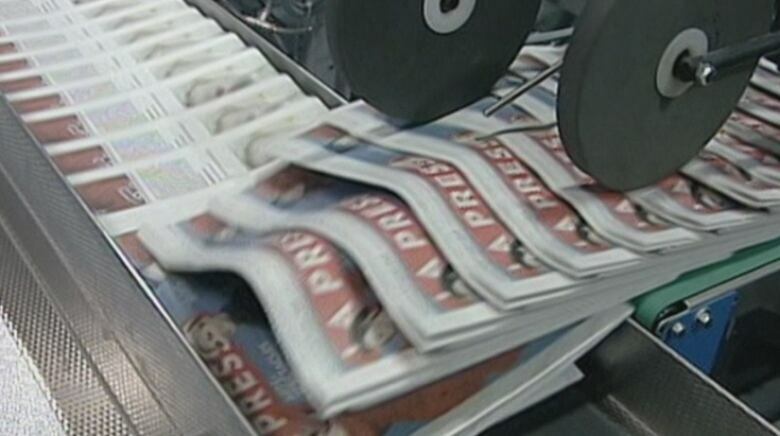 Today marks the end of an era for Montreal-based French-language newspaper La Presse. After 131 years of publishing, it has distributed its last weekday print edition. Today marks the end of an era for Montreal-based French language newspaper La Presse, which — after 131 years of publishing — has distributed its last weekday print edition. With the exception of its Saturday editions, the paper is going digital-only starting on Jan. 1. Federal party endorsements: Where do Quebec's newspapers stand? La Presse will continue to publish daily, but content will be on its app, La Presse+. 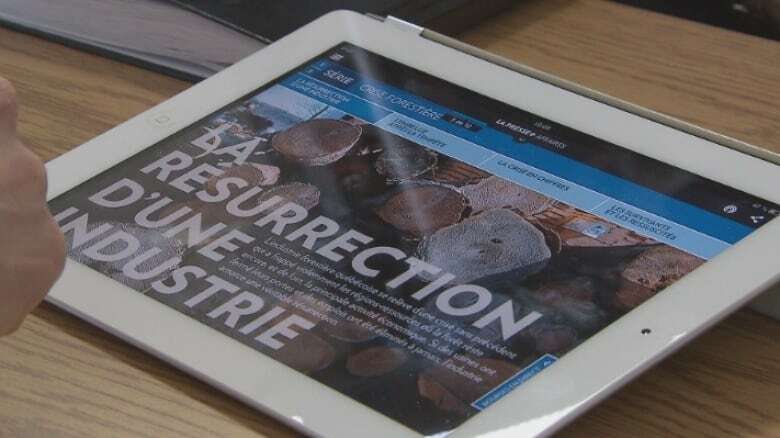 La Presse will publish their weekday content on a tablet app instead of on newsprint starting Jan. 1. (Radio-Canada)Slowly becoming paperless, or nearly so, was part of the plan when the newspaper launched its app three years ago. The newspaper's publisher and president, Guy Crevier, said the newspaper is at a "watershed" moment in its history: Ad sales for the app are now outperforming the ad sales of the paper version, making the transition to digital profitable. For the paper to survive, a massive shift had to happen, according to La Presse's vice-president of communications. 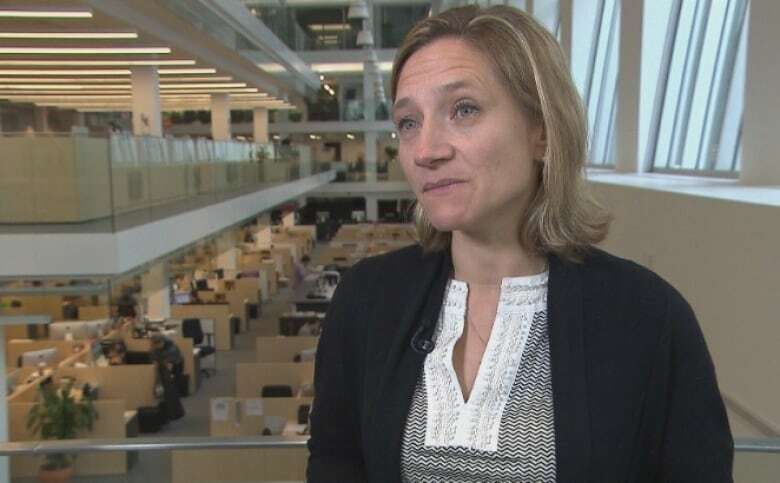 Caroline Jamet said advertising revenue has dropped 60 per cent over the last decade. "It's something we figured out, a few years ago. Today people have different news habits and people want mobility, people want interactivity, storytelling has changed," she said. But management took its time deciding how to address plunging revenue streams. La Presse built the business model and app in-house, betting on the long-term success of tablets. "What we see with them is that they're really brilliant operators," said John Cruickshank, publisher of the Toronto Star. "They're courageous, they've invested a tremendous amount of time and money into the tablet app really early on." Jamet acknowledges some readers will be left behind. "We are sensitive to the fact that some readers will not want to go digital, and it's unfortunate that we won't be able to serve them," she said. Montreal-area resident Don Hobus is among the readers being left behind. He said he will not be downloading the app. Instead, he'll stick to his decades-old tradition of reading the paper with his coffee in the morning — he'll simply choose another paper. "I like to have the paper in my hand," he said. "I've never warmed up to the electronic readers." Jamet is trying to convert the nonbelievers. "I think we are transferring our readership. People are in love with our new way of presenting information," she said. La Presse could be better poised than other Canadian newspapers to make the jump to digital, according to the director of the school of journalism at University of King's College. Kelly Toughill suggests that a French-language paper faces less competition for readers. "A significant portion of their audience is reading them because they want to find out what happened in India, or because they want the latest take on [U.S. President Barack] Obama. And there are literally millions and millions of places where you can get that," she said. The Toronto Star has bought into La Presse's model and is now advertising heavily for its app, Toronto Star Touch. 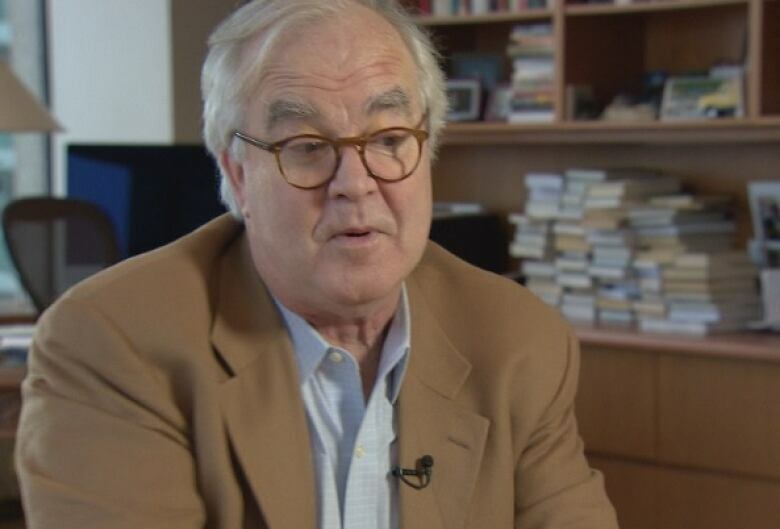 But Cruickshank, the paper's publisher, said there are no plans to stop printing the paper. "Our newspaper is still very strong. We've got a wonderful, big audience and this is a larger market, and so we have more financial support. We believe we can carry on for a long, long time in print," he said. The Postmedia newspaper chain also flirted with a tablet-only edition, but abandoned the plan in October.